What is a social enterprise and why would you work at one? 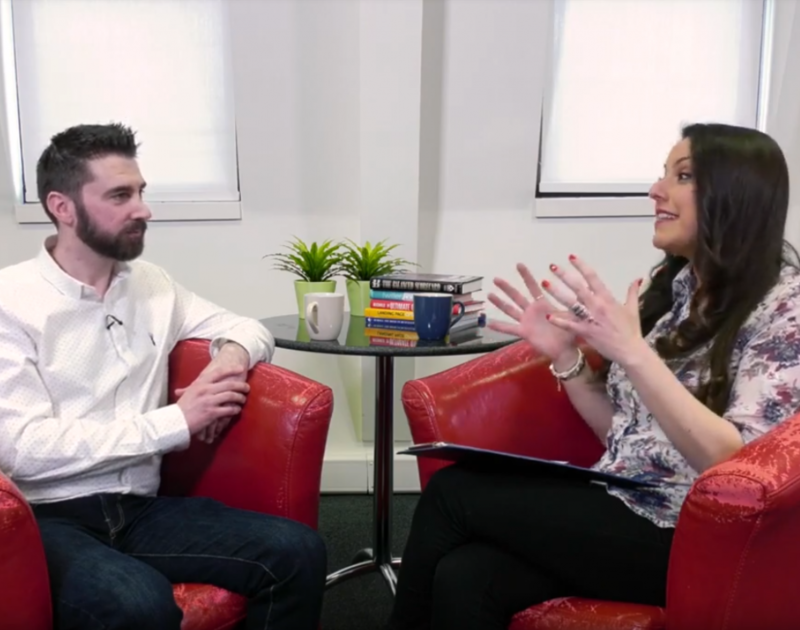 Recently I was given the opportunity to appear on Charity Job’s 9 To Alive YouTube channel with Bruna De Palo to discuss why Charity Box is a social enterprise and to help others decide if working in one is right for them. 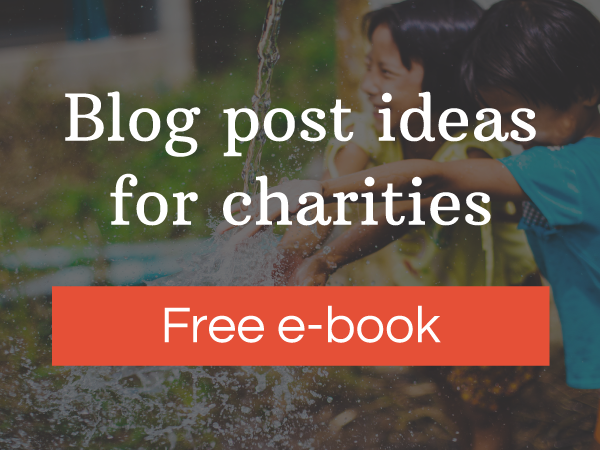 Bruna: What is Charity Box and what inspired you to take on this journey? Matt: So, Charity Box is a social enterprise and the reason that I set it up was because I’d seen lots of good charities doing good work in my area, and I saw the work they were doing in terms of digitial could be improved quite a lot, and my skills could be brought into to do that. The catalyst for it was back in 2014, I just by chance, started working with a local charity, and they exist to fight child sexual exploitation (CSE) and what they wanted me to do was setup a member’s forum so that parents and teachers could support each other, fo rraising awareness of CSE. After I’d setup this forum, the feedback was really good, people were engaged and getting a lot of use out of it and I thought “wow”, this is an epiphany moment for me. My skills can be used to do something that has social value, rather than just to make money for someone. So that was what inspired me to start. That was back in 2014 and I’ve been thjinking about how I can formulate that into a proper business model since then. B: So you setup Charity Box in the form of a social enterprise, what is a social enterprise and why is it different to a charity? M: A social enterprise is an organisation that is not strictly for profit but it’s also not a donation-funded organisation either. What I learned is that you have a charity on one end, which is a purely non-profit organisation, and for-profit businesses on the other end. Actually there’s a huge scale in between those two entities where you can put yourself as a social enterprise. The crucial difference is that it has social value built into its business model. What you have to do when you incorporate the business, there’s something called your articles of association and inside those governing documents you specify what your social mission is. The idea is that any profits that you earn through that company get reinvested to serve that social purpose. And that’s the main difference between a for-profit and a charity. B: So what causes do social enterprises usually work with? M: It varies, it could be community groups, they don’t have to be charities. There’s one in Leeds called the Real Junk Food Project and what they do is intercept food that’s going to landfill and they serve it to the local community. It’s food that’s still in date, but has passed its sell by date, so it’s still good to use but it’s going to goto waste. So they take this food and they’ve opened a cafe and they cook the food and serve it, and it’s a pay as you feel setup so people in the local community can pay whatever they can afford. B: Going back to your story, what made you think you wanted a 9 To Alive role instead of a career in the private sector? M: I studied web design at university and then went straight into a job, and that’s when I realised that the 9-5 was not really for me. I remember thinking “this can’t be it”, I goto the same place every day, sit at the same desk and do the same work. There’s nothing wrong with that per se but for me I wanted a bit more variety to my work, a bit more autonomy in how I used my time. B: Did you feel part of the change that they (charities) bring into the world? M: Yea I do, actually and like I said in my business plan I actively look to measure how my work is assisting what they’re doing. B: What would you say to our audience if they wanted to work in a social enterprise? M: Looking at sites like CharityJob and finding work on there but I think volunteering at a local charity is a good way to start, and you can find opportunities online, goto dedicated networking events and meet people there that work within charities. One of the crucial things that people have to do is really work out what their own values are, because it’s alright saying “I want to work in the third sector” but there’s a lot of variety in the third sector. B: Social enterprises are quite popular with millenials, do you agree? M: Yea definitely, I think there’s a lot of drive now, particularly from this generation to find meaning in your work. B: Why do you think someone should consider working for a social enterprise? M: I think again, it has to come back to your values and how you sere yourself in the world, and how you want the world to be. The difference between working purely in a charity versus a social enterprise is that it’s an enterprise, so it is a business. People would be drawn to social enterprises for that reason. B: Social enterprises look attractive for people coming from corporate because it looks like a stepping stone in between (corporate and charities). Going direct to charity could be a bit of a jump. M: It could be probably quite daunting as well, and people may be under the impression that working for charities could be so different to the corporate sector that it’s not for them. So it is a bit of a stepping stone. B: What are the differences between your life now, and the last job you had? M: The last job I was in I really enjoyed, and I was working with a good team. Obviously when you go work for yourself you’re working alone, but I think the positives are that I get to meet lots of different people, I get to help out charities and I get to feel good about that I get to see the actual impact of it. So that’s really the main difference, it’s a different way of living really. B: What are the characteristics that it takes to build a brilliant non-profit and in particular a social enterprise? M: You have to be resilient, you’ve got to be a good communicator and come up with good ideas and convey them, and you need to be passionate about what you do. You could say that about any endeavour that you want to be successful in; you’ve got to be passionate about it. B: In terms of recruiting, what are you looking for in a CV? M: I’d be looking for a CV that’s focused on the role that people are applying for, so it hasn’t been sent out to loads of different companies. I’d be looking to try and understand what that person’s about – their interests and hobbies. Those are my key things. And then I’ll be looking at qualifications and skillsets. It’s like I’m seeing a person not just a piece of paper. B: Should our audience put themselves into the CV on top of their skills? M: Yea definitely, because people looking at these CVs are trying to understand the people who’ve written them. So it’s a good way to work out who you’re going to bring to interview versus those you’re not. B: And what personal characteristics are you looking for from someone who will work for you? M: People who are open-minded and friendly, and passionate about the work they want to do. I’d be looking for people that care about society, people and causes. B: In terms of salaries, how is it working for a social enterprise? M: Employees will be looking for the kind of benefits they’d get elsewhere, holiday and a competitive salary. Because you’re bringing valuable skills to an organisation so really, employees should be looking for those kind of benefits as well. B: What is your top tip for those stuck in a 9-5 job who want to turn it into a 9 To Alive career? M: The first thing people have got to do is work out exactly what they want to do. One trick that I used was to think about what I would do tomorrow if I didn’t have any financial barriers. How would I spend my time? And when you start thinking about that, you can work out what it is you want to do.